One of the real pleasures of enterprise-architecture is that it covers the entire panoramic panoply of the enterprise, the many ways in which everyone and everything can work together towards a shared goal, creating a common bridge from Why to How to What and When and Where and Who. 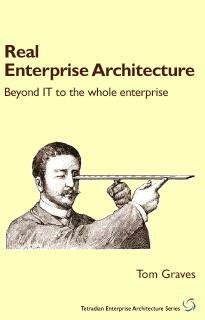 One of its huge frustrations, though, is the way in which people in the IT space insist on calling what they do ‘enterprise architecture’. IT-architecture is about machines – and a specific class of machines at that. It has almost nothing to do with the ‘people-side’ of the enterprise – which is actually what defines the enterprise. It’s about just one aspect of the How of the enterprise. It barely touches What, Where or When. It’s rare that it takes any notice of Who. And often it doesn’t even glance at Why, at purpose: in an all too literal sense, it often has no purpose other than… well, itself, for its own sake, really. Yet the IT-folks still persist, loudly, in purporting that this small subset of the whole is ‘the whole’, ‘the architecture of the enterprise’ – which it patently isn’t. 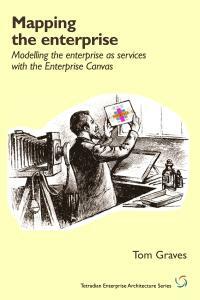 But because they insist on calling it ‘enterprise-architecture’, and because they’re so insistent about doing so, it becomes next to impossible to describe to anyone else what enterprise-architecture actually is, or the value that a real enterprise-architecture brings to the business context. Yes, it’s true that slowly – very, very slowly – we do seem to be getting somewhere in this. After something like half a decade of constant hammering, the Open Group are finally starting to grasp that ‘business-architecture’ is a bit more than just ‘anything not-IT that might affect IT’. A lot more people are politely challenging John Zachman’s beloved metaphor of ‘engineering the enterprise’ – because ‘engineering’ is not a good a metaphor to use in any human context. And a lot more folks are coming round to the recognition that architecture is less about ‘functional’ requirements, the How, and more about the ‘non-functional’ qualitative requirements that connect more to Why; less about the ‘boxes’, and more about the ‘lines’ that connect those boxes, the ways in which everything links together. A bit of context here. Roger is unquestionably one of the grand-masters of IT-architectures; he’s highly respected in his own part of that field, and with good reason. His specialty is the use of set-theory to reduce the ‘complicatedness’ of large IT-systems – what he used to call ‘simple iterative partitions‘ and, from his new paper above, now calls ‘synergistic partitions’. I don’t do that kind of maths or that kind of IT, so I’ll say straight away that I’m not competent to judge it; but people whose opinion I trust in that field tell me that it does work well for that specific purpose. The problem comes when it’s purported to be a ‘solution’ for use outside of that one purpose. For example, Roger describes it as reducing ‘complexity’. But in terms of the Kurtz/Cynefin categorisation it’s all in the realm of Order, not Unorder; it’s highly complicated, but only Complicated – it doesn’t touch the true Complex domain at all. More worryingly, using this kind of approach has a high risk of creating true complexity rather than reducing it. 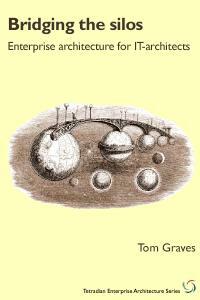 By splitting a tangled yet fully interdependent whole-system into independent sub-systems, partitioning can easily push the overall context into the Unordered realm, creating a system-of-systems with truly complex interactions that are, by definition, beyond the control of any Order-based IT-system – and making an already difficult problem much harder to resolve. Not helpful. 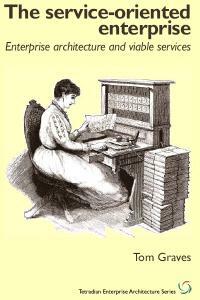 And there’s no shortage whatsoever of evidence – such as the sad history of Business Process Re-engineering, to take one infamous example – that attempting to apply ‘mathematical’ approaches to the human contexts of whole-enterprise architectures really doesn’t work. But the problem is that that kind of model appeals so strongly to the so-desirable delusion of ‘control’: so people still keep on pushing it as ‘the solution’ to everything – even though we know it doesn’t work in that context. In fact it’s guaranteed to fail, expensively – in every sense of ‘expensive’. And when it fails, it falls to the real whole-enterprise-architect to try to sort out the resultant mess – with the IT-obsessed still providing their ‘helpful’ hindrance every inch of the way. Which is why, when I saw that Tweet from Roger Sessions, the red-mist came down… What he’s describing is not enterprise-architecture – in fact in many ways it’s the exact antithesis of enterprise-architecture. And all of us need to get very clear on that fact, and push back, hard, against anyone who misleads others by describing IT-architecture as ‘EA’. Anyway, there was quite a sizeable Twitter-chat that followed from that. Minus a couple of Tweets where I finally gave up in sheer frustration, it’s all there after the break (with my occasional add-on comments in italics as usual, and also some of the duplicate ‘@’-handles removed). See for yourself, perhaps? RSessions: @tetradian Depends on your definition of EA. 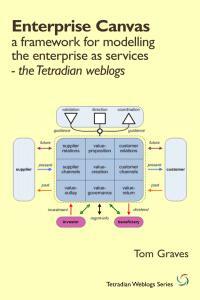 tetradian: @RSessions you say ‘enterprise IT-architecture’ is identical to ‘the architecture of the enterprise’? – quote “this does not compute”… // …hence _please_ stop indulging in your misleading ‘term-hijack’ of EA, and use the proper term ‘enterprise IT-architecture’? RSessions: @tetradian No, I say complexity control is the task of enterprise architecture. 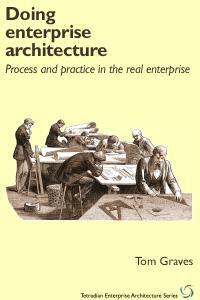 // The projection of business architecture onto IT architecture is enterprise architecture. aojensen: @RSessions But Enterprise Architecture does not necessarily comprise IT Architecture. RSessions: @aojensen I see IT arch as quite distinct from #entarch. 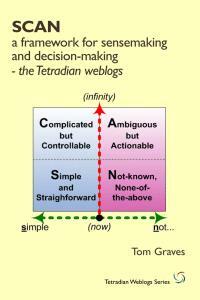 tetradian: @RSessions yes, ‘complexity control’ is _a_ task of #entarch, but why do you insist that it’s IT-only??? – sorry, but that’s daft… // “projection of #bizarch onto IT is #entarch”: agreed, that’s _one_ aspect of EA, but _not_ the whole – drop the ‘term-hijack’!! RSessions: @tetradian We shouldn’t take on more than we can handle. RSessions: @tetradian Actually in the paper I don’t use the term #entarch because it is so poorly defined. 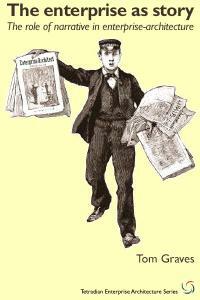 tetradian: @RSessions “Actually in the paper I don’t use the term #entarch”: so why use it in your Tweets??? – it’s not EA, so _don’t mislead_!!! // that’s all we’re asking from you: don’t mislead!! – if you yourself say it’s not EA, _don’t use that term_ for the work you do!! RSessions: @tetradian I haven’t seen others offer a compelling value proposition for #entarch . tetradian: @RSessions given that you’re one of the people most actively sabotaging real-EA by misuse of the EA term, that’s hardly surprising, is it? RSessions: @tetradian In the paper I discuss the limits of the mathematics. // I didn’t say isn’t EA. I said EA is poorly defined. // Thank you, and I don’t think I am sabotaging. I am just defining what I think is a critical problem that only #entarch can solve. RSessions: @atmanes I see Enterprise IT as the overall IT architecture. // Isn’t that true for all parts of the business? // #entarch should be solving those problems that lie in the interstitial space between IT and Business. // That’s why we have CxOs. ArchiTool: RT @adrianrcampbell Real #entarch is NOT the same as enterprise IT Architecture – they should not be confused <– Indeedy! RSessions: @atmanes reducing complexity is good for the many. Not saying #entarch can’t do more, but that alone would be real value. RSessions: @javier_castanon The problem us that none of these terms have well agreed upon definitions. itraor: @RSessions @javier_castanon An EA approach solely expressed in financial terms might get the CFO’s attention. // Likewise, EA approach devoid of terms unfamiliar to biz should often get attention // In my opinion, many EA practices make CxO’s feel like passengers, part of the problem. RSessions: @tetradian We don’t lack opinions. We just lack agreements. RSessions: @itraor @javier_castanon I agree. And I think complexity reduction can be expressed in financial terms. // I think trying to agree on EA is unlikely and probably not a good use of energy. 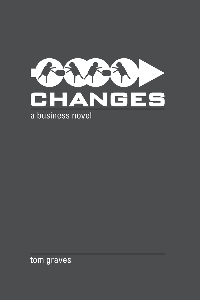 javier_castanon: @itraor @RSessions Couple of ideas: Are CxOs the true enterprise architects? Do they care about fancy IT metaphors? RSessions: @javier_castanon @itraor If we go with @atmanes definition of EA, then I would say yes. RSessions: @itraor I agree. The process has become the deliverable. Not good. RSessions: @itraor Thank you! I really appreciate your affirmation! RSessions: @itraor Interesting thought. I have found a journey, not a destination. Others are welcome to join. itraor: @RSessions Modelling EA along such subsets makes it possible to engage each stakeholder adequately // Absolutely! You’ve found a journey, I’d say too. RSessions: @itraor I hope you will expand on these interesting ideas. Perhaps a blog? RSessions: @itraor This territory is rich for exploration. I’m delighted to have fellow explorers! itraor: @RSessions I feel honoured. Someone with your clout is a gift to this discipline. RSessions: @itraor I have strong opinions. Clout is still a work in progress. But thanks! RSessions: @chrisonea The good of the many IS the good of the few. They just don’t know it. chrisonea: RT @RSessions: The good of the many IS the good of the few. They just don’t know it. < That’s a bit too universalist or one-size-fits-all for me. But I get your point. 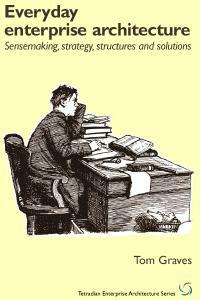 RSessions: @pelujan Sad, but true. taotwit: @RSessions @atmanes Given CxOs aren’t known for critical thinking WRT systems interactions if EA doesn’t help here who does? RSessions: @markjappleby I admire his passion. b_kratz: interesting discussion between @tetradian and @rsessions about EA today.Twitter imho may not be best platform for such discussions.add blog? Do read Roger’s blog-post just above, and especially the comments-interaction between him and Chris Bird – the all-too-evident misinterpretation by Roger of what Chris has explained illustrates yet again the ways in which IT-architects (such as Roger) completely miss the point that whole-enterprise architects (such as Chris) are trying to make. And, to make the point, he followed up with this: a real-world example of the dangers of ‘EA’ not covering Enterprise Systems. Useful indeed. I appreciate your post. Let me start by saying I really admire your work and your passion. If more people cared about enterprise architecture as much as you do, the field would be in much better shape. Why I call what I do “enterprise architecture” and not “IT architecture” or even “enterprise IT architecture?” I believe IT architecture is about designing IT systems so that do the best possible job of meeting their specifications. I believe enterprise IT architecture is about designing IT systems with an overview of how they relate to all of the IT systems in the enterprise. I believe enterprise architecture is, at least in part, about making sure the work IT does is closely aligned with what the business needs. It is true that many consider enterprise architecture to be bigger than that. I think this is enough to swallow in one bite. So that is my focus. I don’t have a problem with people taking on more than that. But I feel if I can do that well, I will have achieved something important. A major problem getting in the way of business/IT alignment is complexity. The only way I know to attack complexity is synergistic partitioning as described in my white paper, The Mathematics of IT Simplification-http://bit.ly/f4pAOk. This is not to say that if complexity is addressed that we have a guarantee of delivering good IT systems. But if it isn’t, the chances that we will satisfy our customers are much lower. Why does synergistic partitioning live in the EA space, rather than IT? Because it can only be done by people who have a good overview of both IT and business. That is a fundamental requirement of synergy analysis. I think of people that “have a good overview of both IT and business” as Enterprise Architects. Now I understand that I use the word complexity differently than you, which is why I have taken care to make sure I define how I use the word. Why do I define the word differently? Because the Cynefin definition doesn’t help me solve my problem. They don’t see complexity as something that can be reduced. I do. They argue that what I call complexity is really complicatedness. I disagree. Complicatedness is a description of the beholder. Complexity is a description of the beholden. But I am fine with others using different definitions, as long as we are all clear on what we mean. I’m not trying to say my definition of complexity (or any other word) is universal. Speaking of complexity, it is correct that I claim synergistic partitioning reduces IT complexity. But I do not claim this approach is generally applicable beyond IT complexity. I am intrigued by the possibility of more widespread applications, but any such claims lie in the future. Again, I greatly respect your work and I hope one day we can work together to see how our work complements each other. Thanks for the discussion! A bit off-topic: Why is it that enterprise architects (well, in fact most people) see complexity as a negative thing? Why don’t we see increasing complexity as a natural positive thing which we must learn to use well to get better? So how does this not fit what Zachman specified for EA ? It almost sounds like your arguing that because the rest of society has apparently devalued science and engineering it is not longer fit to use in a “human context” ? I don’t understand. Are you suggesting Enterprise Architects should be trained in Psychology, Psychiatry, or some other more ‘humanist’ approach ? Obviously I am being rather cheeky and tongue in cheek, but really, engineering in this context seems dead on to me. The other difference between us – which actually arises naturally from the IT-oriented nature of your work – is that you have a (largely necessary) IT-centric view of the enterprise-architecture: in your world, everything comes back to IT. But in whole-enterprise architectures, it’s essential that there is no centre: everywhere and nowhere is ‘the centre’, all at the same time. That difference in views tends to create a naturally different set of perspectives on what architectures are, what drives them, and how to work with them. Oh well. But thanks again, anyway. I don’t see it as negative, for exactly the reasons you suggest. But it’s definitely ‘negative’ if you’re trying to build an IT-system, because those systems need to run under Complicated-domain or Simple-domain rules: Order, not Unorder. 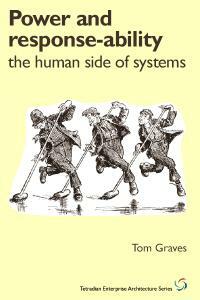 If you hit true complexity in an IT-system, it usually means that it’s in trouble. I don’t know if I understand you correctly. But I think you are also making complexity a negative thing, for IT-systems anyway, because you make a difference between living and non-living systems. I believe in network theory (the small-world and scale-free stuff, beautifully explained in the documentary “How Kevin Bacon Cured Cancer” ) and cybernetics which both state that there are universal principals that are applicable to all systems (living, non-living or combined). I believe when you develop or create (as in evolution, like Theo Jansen’s STRANDBEEST, instead of building) systems by using those universal principles you can create truly long-lasting resilient systems. So even with IT Systems complexity is a positive thing when used correctly, like nature does. 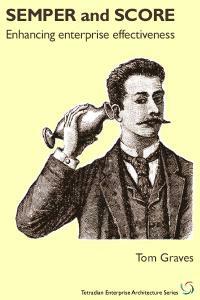 1 Pings/Trackbacks for "Round in circles on enterprise-architecture"